Having attended the Microsoft 365 Partner Pre-Day, Geomant representative Viktor Gajodi is ‘in the know’ when it comes to the latest developments concerning the Skype for Business to Teams transition - A hot topic in the eyes of Skype for Business (SFB) customers. Currently, 70% of Microsoft’s SFB customers use Teams, so it’s no wonder Microsoft has added the transition to their roadmap; like Geomant, they are focused on integrated communications and aim to provide a seamless user experience. Giving a single place for communication helps to achieve this. Importantly, Microsoft explained that this will not be a ‘forklift’ transition. They plan to roll out the key set of SFB capabilities in Office 365 Teams over time, along with new voice, video, and meetings innovation. Customers can then choose to migrate Skype for Business users when the capabilities meet their requirements. 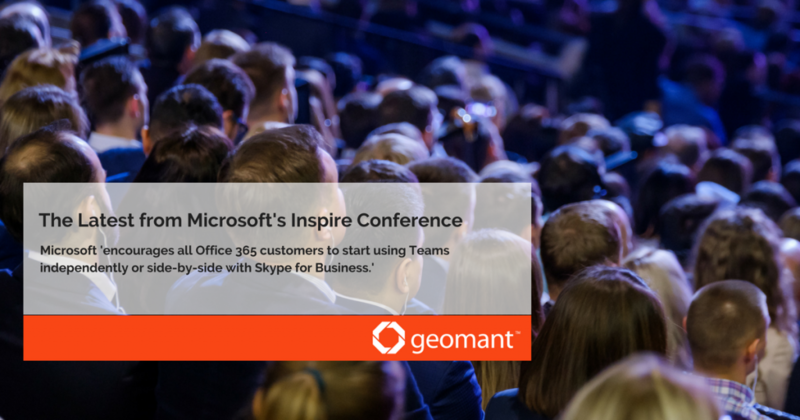 Microsoft says that they, ‘encourage all Office 365 customers to start using Teams independently or side-by-side with Skype for Business.’ We at Geomant share this vision and suggest enterprises to start planning accordingly.